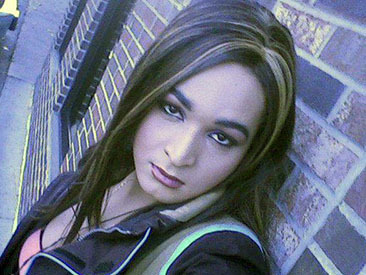 This year’s latest casualty in the ongoing war on transgender women is Josie Berrios, 28. She lived in Ithaca, New York, and was described by those who loved her as a proud transgender woman of color. Berrios had what police say was a “personal relationship” with a man named Michael Davis, 45. Police have charged him with her murder as well as first-degree arson, apparently for setting fire to her body, reported WSTM-TV. Detectives arrested Davis late Tuesday night and he was arraigned in Ithaca City Court, according to police. He’s incarcerated at the Tompkins County Jail and being held without bail, according to authorities. His next court date in Ithaca City Court is Monday, June 19th. While prosecutors said Davis killed Berrios, they’re not saying how. The felony complaint alleges Davis brought a can of gasoline to the building under construction where Berrios was found dead, along with a lighter. Berrios’s body was found with apparent burns and that gas can was found at the scene, according to the court records. Media reports indicate detectives searching Davis’s home found the lighter in a duffel bag, as well as a security company uniform Davis was seen wearing in surveillance video. A photograph of Davis taken Monday shows him with a similar duffel bag, wearing the uniform shirt in the very building where Berrios was found. Police reportedly also recovered work gloves, and that the strong odor of gasoline was evident on the uniform they found in the bag. “The Ithaca Police Department would like to speak to anyone who may have seen someone walking or hitchhiking on Ellis Hollow Road, Turkey Hill Road, or Ellis Hollow Creek Road between 5:00 am to 6:00 am yesterday, June 13, 2017,” police said in a release Wednesday. Berrios is the 13th transgender individual killed in 2017, the 12th trans woman and the 11th trans woman of color. The epidemic of violence against transgender Americans shows no sign of letting up, and advocates fear this year’s death toll may surpass 2016’s horrifying record of 27. The National Coalition of Anti-Violence Programs counts 21 homicides, because some of the victims were not a result of homicide or not related to hate violence. Although initial reports by police misgendered Berrios based on her identification, police were swift to correct the record. Kat Von Riesling, an Ithaca woman, posted more information about Berrios on Facebook. She said Berrios was also known as Kimbella Rosé, and helped start the House of Merlot drag troupe. Kimbella, also known as Kendra Adams or Josie to some, was one of our founding members of the House of Merlot before we were even official. She was usually full of energy, rarely on time, and always slayed her performances. A proud trans woman of color, she always tried her best to make new performers feel comfortable in our spaces. She recognized the realness in all of us without question and made us feel beautiful. She was part of so many families here in Ithaca, that many are feeling stunned and lost following this news. Her presence is still felt, and will never be forgotten. A Celebration of Life and Pride Show on June 22 at the Range will be dedicated to Rosé, and will include a moment of silence. Editor’s note: this story was updated to reflect a disparity in the number of transgender murders in 2016 between published reports and the latest accounting by the National Coalition of Anti-Violence Programs.